It sounds like a great idea, but it won't help you see everything in your fridge. 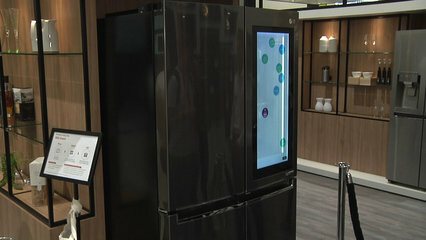 In the short history of Internet-connected refrigerators, LG's latest is the boldest and craziest yet. 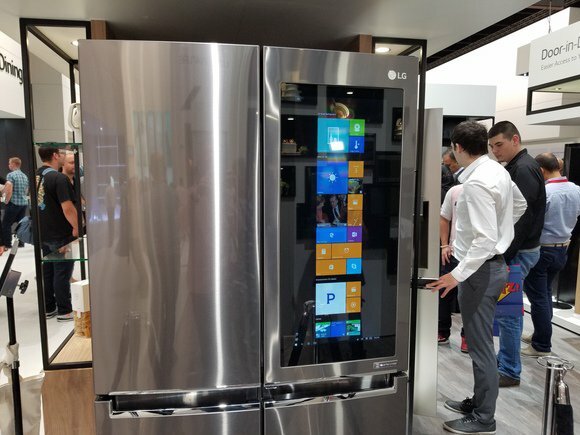 The company has put a 29-inch Windows 10 Surface computer on one of the doors and, as if that's not enough, made the screen transparent so users can see inside the fridge. It's the transparent display that sets the Smart InstaView apart from other connected fridges, although the idea is still far from perfect. The view you'll get through the door is of the products filling the shelves on the inside of the right-hand of its two doors. You'll see the front labels of the products if they're put in backwards, that is with their labels facing inwards, but then when you open the door they'll be facing away from you. 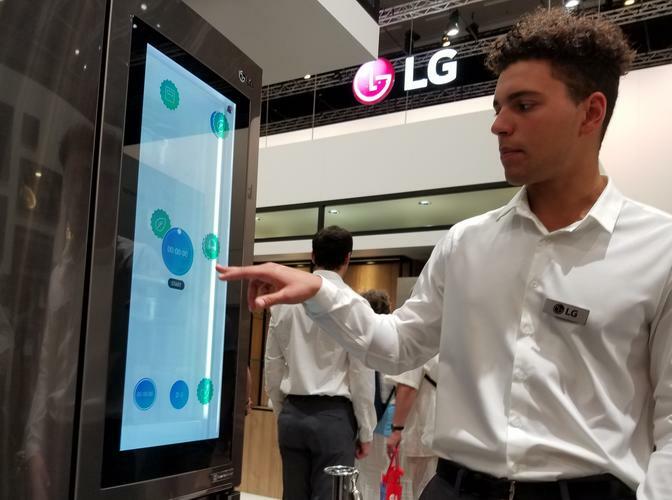 LG's Smart InstaView fridge on show at IFA in Berlin on September 3, 2016. And forget about seeing what's on the inner shelves, unless you don't fill up the door shelves. The transparent display is also far from clear, making products even halfway back in the fridge a little difficult to see. By using a transparent touchscreen display, users are able to create icons and labels to match food that's visible, for example labeling a product with who it belongs to or when it expires. You can also call up a countdown timer. 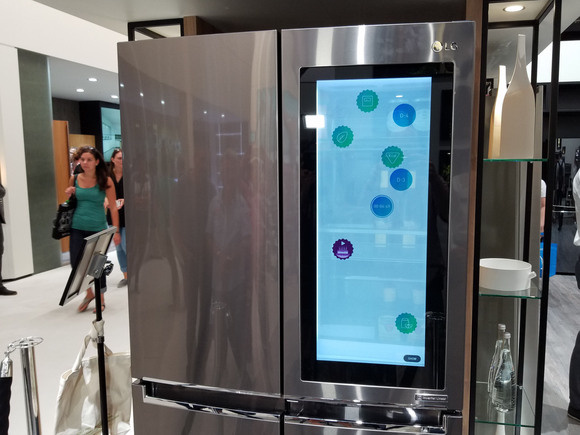 A camera on the inside of the fridge looks down from above on the contents of some of the fridge and can be accessed from a smartphone app, so owners can check what's in their fridges from the supermarket -- a common justification for such technology in any smart fridge. In its other mode, the display becomes a fully functioning Windows 10 tablet, capable of running any Windows 10 app. The fridge controls are built into one such app.